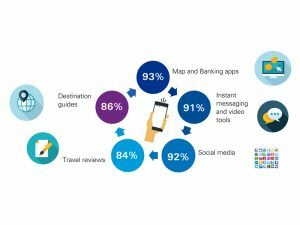 FCM Travel Solutions and KPMG’s recent whitepaper titled ‘Redefining Corporate Travel Management’ forecasts that there is a growing demand for mobile capabilities in business travel due to higher volumes of millennial travellers. These travellers prefer to research and book both flights and accommodations on mobile. When booking a trip themselves, 60 per cent of India’s millennial business travellers do so online through their desktop or laptop, with 47 per cent of them booking through their smartphones. Travellers today want relevant and timely content at their fingertips. The shifting trends among Indian business travellers, before and during their journeys, is pushing the business travel industry to adapt continually to provide responsive, relevant and timely services for customers. Millennial travellers rely on technology for the entire travel booking process – from online reviews to mobile booking and check-in to staying connected with colleagues in a new city. Majority of travellers prefer online methods of research as it provides greater information, occasionally better deals and higher level of convenience. Hence, providing a seamless and mobile friendly travel experience in a business ecosystem, can help improve an employee’s overall travel experience. Business and leisure travellers alike are demanding greater omni-channel support throughout their travel journey. This presents a significant opportunity for travel management companies, as well as other businesses that support them. Such companies need to provide digital processes and support to enhance their customer’s experience. 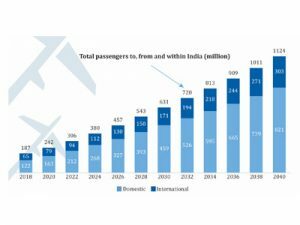 FCM Travel Solutions and KPMG’s recent whitepaper titled ‘Redefining Corporate Travel Management’ forecasts that the Indian business travel market is highly fragmented, with 70 per cent of corporates spending less than Rs 10 million. 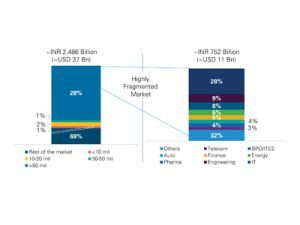 IT companies have the highest share amongst those spending more than Rs 10 million followed by engineering and pharmaceutical companies. IT, BPO/ITeS and pharmaceutical industries have higher travel spends as a percentage of their revenue. The cost incurred while travelling for business is the second highest operational cost for most organisations. Business travel is central to both maintaining business as well as expanding it and due to rising cost of travel, it is becoming imperative for corporates to drive higher levels of efficiency in their managed travel programme. 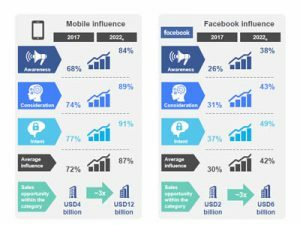 The ‘FB Travel Report’ commissioned by KPMG, Facebook and Nielsen suggests that nearly 90 per cent of hotel bookings in India are expected to be mobile-influenced by 2022, while nearly half of the hotel bookings in 2022 are expected to be Facebook-influenced, both nearly three times their current levels. This growth is expected to be driven on the backdrop of the swell in the traveller pool from an emerging middle class, niche experience-seeking consumers and increase in OTA bookings through mobiles in the five years between 2017 and 2022. Brands, therefore, have a USD 12 billion worth of incentive to re-look at their marketing strategies and adapt to the fast-evolving mobile-first internet economy of India. 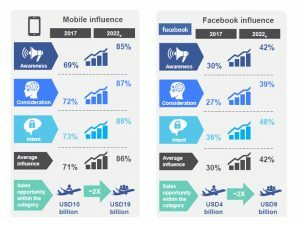 More than four out of five airline bookings in 2022 are expected to be mobile-influenced, while nearly two out of five are expected to be Facebook-influenced, suggests ‘FB Travel Report’ compiled recently by KPMG, Facebook and Nielsen. The influencing factors iinclude awareness, consideration, intent, average influence and sales opportunity. Mobile internet users in India are expected to increase to 677 million by 2022 from 420 million users in 2017, the report further reveals. 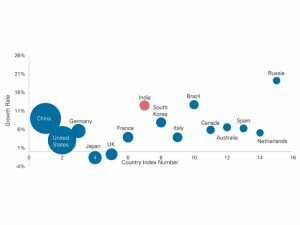 This growth is expected to be driven on the backdrop of organic penetration of the internet, digitally-savvy travellers, connectivity through social media and digital technologies over the next 5 years. Brands, therefore, have a revenue opportunity worth USD19 billion to re-look at their marketing strategies and adapt to the fast-evolving mobile-first internet economy of India. 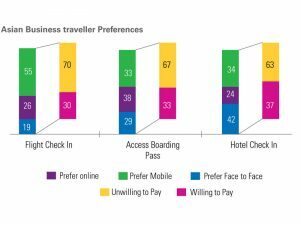 FCM Travel Solutions and KPMG’s recent whitepaper titled ‘The Digi-Smart Indian Business Traveller’ forecasts that amongst Asian business travellers, face-to-face interactions have become the least-popular option, except for hotel check-ins. They value the transparency of choice and information that autonomous digital channels, such as AI, can provide. Similarly, Indian business travellers are shifting to digital, with only 17 per cent of them preferring face-to-face interactions for process like flight check-ins. When choosing flights, convenient schedules and direct flights were consistently amongst the top-three priorities across all business travellers. Travel managers are aware of this and choose travel providers based on their ability to provide convenience and ease travellers’ journeys. Some these functions can be taken over by AI, which can process large about of data faster, and hence increase the efficiency and reduce cost. With the app economy gaining prominence and hotels increasingly encouraging consumers to have direct transactions, the role of mobile in hotel bookings is expected to increase. 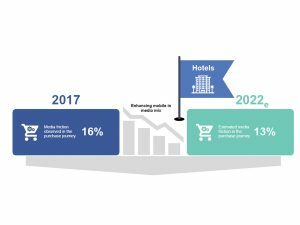 As per a study by KPMG-Facebook, 9 out of 10 bookings in the hotel category are expected to be mobile-influenced by 2022. Our findings further suggest that in case of hotel bookings, 16 per cent of consumers drop out due to media friction and enhancing the media mix with mobile can reduce this friction by 3 percentage points, leading to a USD2 billion opportunity for the brand within the category by 2022. Enlisting the factors driving digi-smart business travel in India, FCM Travel Solutions and KPMG’s recent whitepaper titled ‘The Digi-Smart Indian Business Traveller’ forecasts that the growing share of millennials in the Indian workforce work for longer hours than their global peers. Furthermore, travel service providers (i.e. 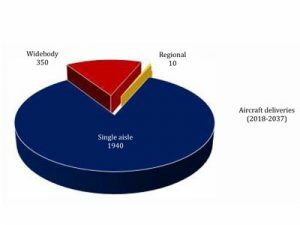 airlines, hotels, taxi operators etc.) are enhancing their available capacity for online users, which is becoming an important travel booking channel. The introduction of the GST is also driving businesses to use the online route to meet the regulatory and compliance requirements. The emergence of user friendly technology solutions such as Artificial Intelligence and SBT is also making Indian travel managers use the digital platform as the mainstay in managing their travel and claims.